A senior planner has insisted Spelthorne Borough Council is under no extra pressure from the government to develop any of its green belt land on which Kempton sits, and may be able to meet all its housing needs in urban areas. The 'call for sites' by the local authority, to identify potential areas for development in the borough, was pinpointed as one of the main drivers behind plans by the Jockey Club to raise at least £100 million by bulldozing the home of the King George VI Chase and replacing it with 3,000 houses. But John Brooks, assistant head of planning for the council, stressed this was not a special plea but a standard procedure as part of the creation of a new local plan the authority intends to publish in 2020. 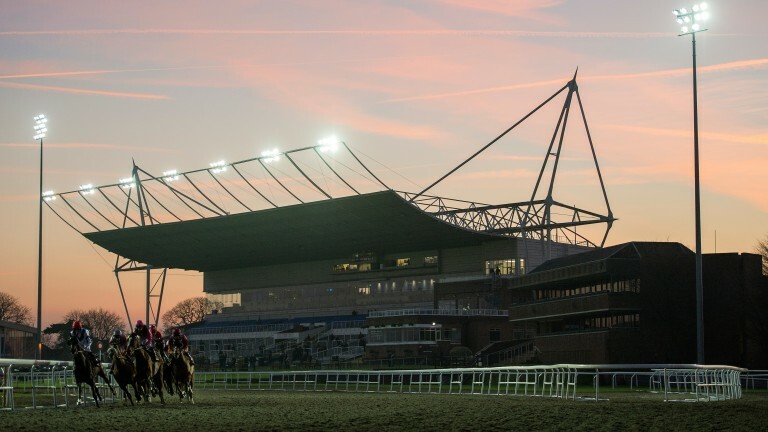 The list of sites, including Kempton, is now being assessed, with a report into their suitability planned for the end of the year. He said: “Kempton Park have done the best to sell the merits of their site. I think the tenor of what has been put forward is that there is a housing need that has to be met and this site is obvious. But we have many other people putting forward sites. It might be we can meet all of our need in the urban areas. “The fact a site has been put forward does not oblige you to agree with it or put it in the plan. For every authority, when you do a call for sites, you get all sorts put forward, some with a blaze of publicity by the promoter, as in this case. All the Kempton land owned by Jockey Club Racecourses has been in the green belt since 1956 and Brooks does not envisage any change to its protected status. He said: “What you want to establish is how many sites in the area you can develop in line with your policies on things like flooding and the green belt. We’re doing a green belt assessment, not a review. A review implies you're looking to try to release [land]. An assessment is a rechecking of whether the various elements of the green belt in Spelthorne are performing a green belt function. "It’s getting up-to-date evidence. And I don’t see there being any fundamental change to our green belt arising from it. We’re not doing a study because there are doubts about our green belt. The Racehorse Owners Association and National Trainers Federation are set to meet Jockey Club group chief executive Simon Bazalgette for talks this month. The Horsemen’s Group discussed the Jockey Club's plans, which include a new all-weather track being built at Newmarket, at its board meeting on Wednesday. HG chairman and Jockey Club member Philip Freedman said: “There is an acceptance there needs to be development at Kempton. The question is, does it need to be the whole track? Sir Evelyn de Rothschild, a former chairman of United Racecourses, one-time owner of Kempton, became the first member of the Jockey Club to publicly criticise the proposal when he condemned plans to sell the track as an "act of cultural vandalism". Fellow Jockey Club member Teddy Grimthorpe, racing manager to Khalid Abdullah, said: “We need to see the nuts and bolts of the project, like how much it's going to raise, and then how that money will be put to best use.